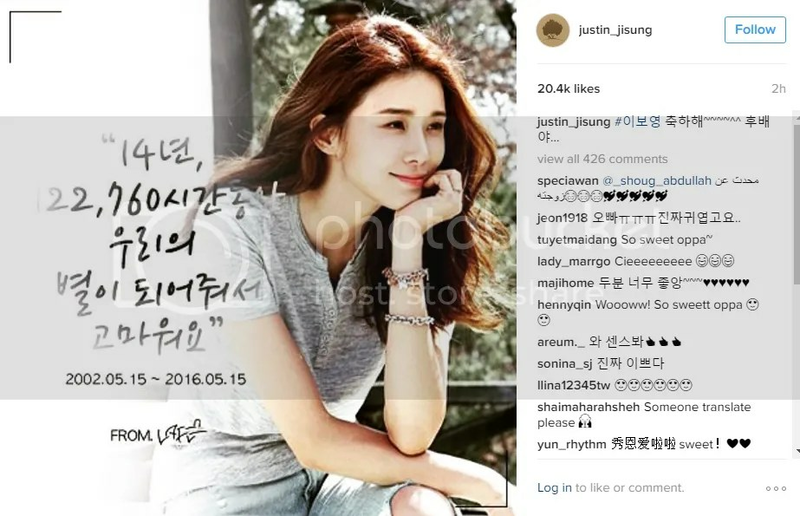 It’s no secret that Ji Sung loves his wifey (see his 2013 acceptance speech at the KBS Drama awards, his 2014 interviews, his 2015 interviews and his appearance on ‘Three Meals a Day’ as proof) but this latest tribute to her on the anniversary of her debut has me going awww and wondering where I can find one of him. Which is adorable because they met on the set of Save the Last Dance for Me and she’s his hoobae (acting junior) by 3 years. I miss seeing her on-screen but she does have a little bundle of joy to look after! Hopefully once Ji Sung’s done his drama, it’ll be her turn to shine on-screen!